Sony has decided that the rumours concerning the possible release of a next-generation PSP console have gone too far, and has issued a flat out denial. Speaking to MCV, Sony Computers Entertainment Europe President David Reeves has confirmed that the company has no plans for such a device. The rumours emerged after the firm was said to have signed a deal with a memory chip manufacturer to use the hardware in the PSP2. "No, there are currently no plans for a PSP2. I go to Tokyo quite a lot and no one has referred to it – I think they have their hands full at the moment," he confirmed. "We just launched the PSP-3000 so we are still focused on this generation of the platform." 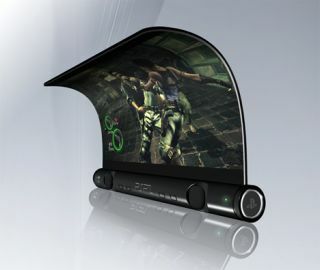 The plan from Sony is to keep evolving the handset, as has been proved by the recent release of the PSP-3000, in a bid to keep pace with the successful Nintendo DS series, which has recently spawned the DSi with larger screens and an SD slot. Reeves also pointed to the gaming software on the PSP as one of the main problems with helping it gain worldwide success. "Its weakness... is its software. And that's because developers, when it comes to placing their bets, have to choose PS3 and 360, then Wii, then DS, maybe even PS2 before PSP. "It's the same at our internal studios, where the focus has been on PS3. They've also focused a lot on PS2 as well because we have to get the SingStars out for that format. So PSP games will come – they just take a while longer."